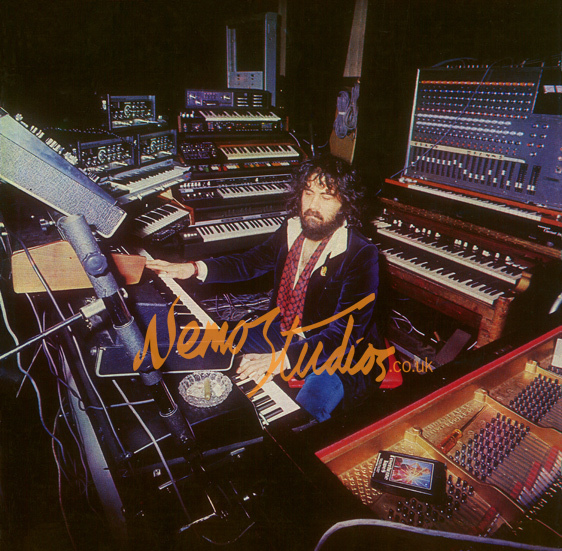 In this image, Vangelis can be seen at Nemo Studios surrounded with studio equipment, including a Roland SH-3A. Pictured one down on the left in this studio pic. The Roland Sh-3a was my 1st ever synth, purchased used in the early eighties. I typically use it for textural sounds, drone sounds, and for wind-like sounds.